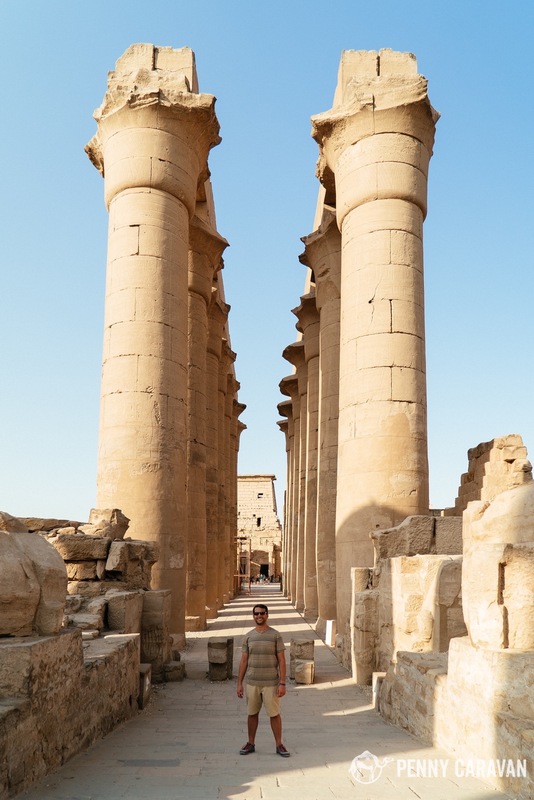 Our Nile River cruise began in Luxor, which was the ancient city of Thebes—a capital city with a population of 80,000 at its height in 1400BC. 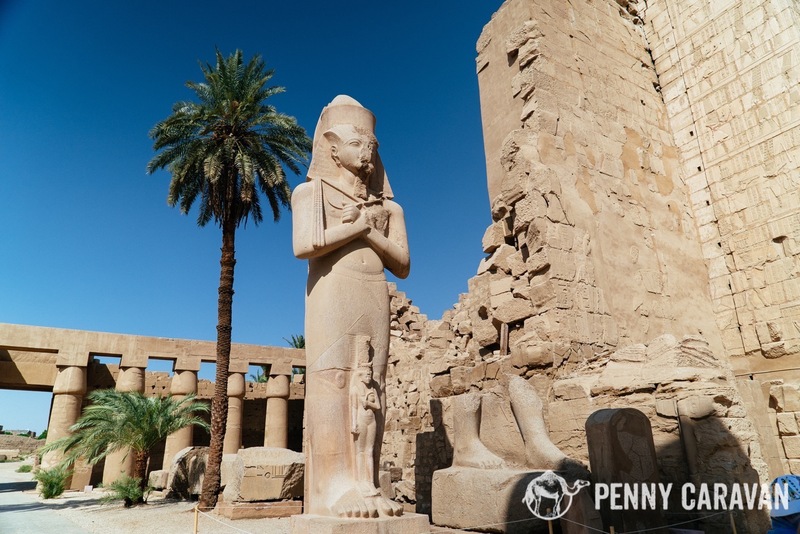 It is considered the largest open-air museum in the world as the enormous temples of Luxor and Karnak dominate the landscape on the eastern side of the Nile. 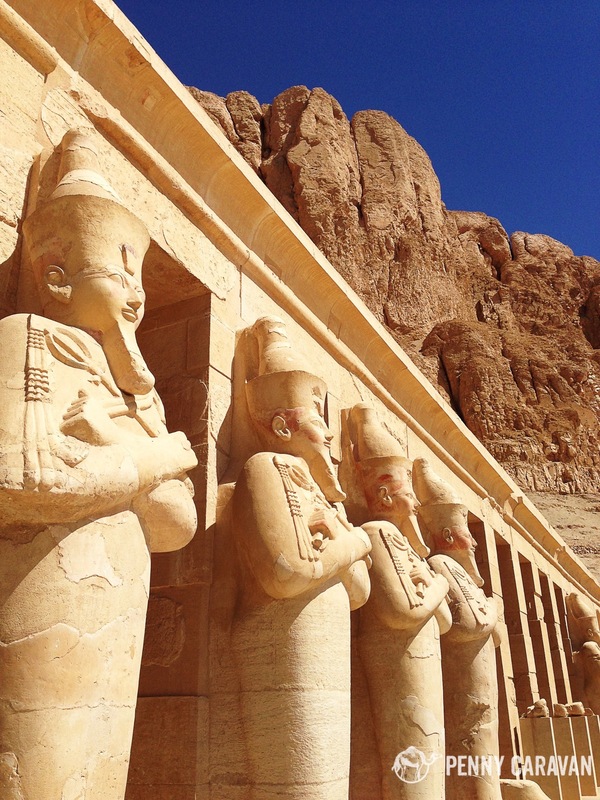 Just west of of the river is the Valley of the Kings, where the pharaohs and nobility of the New Kingdom are all buried. I’ll be honest, before this trip my only knowledge of the ancient sites of Egypt had come from Agatha Christie’s Death on the Nile. 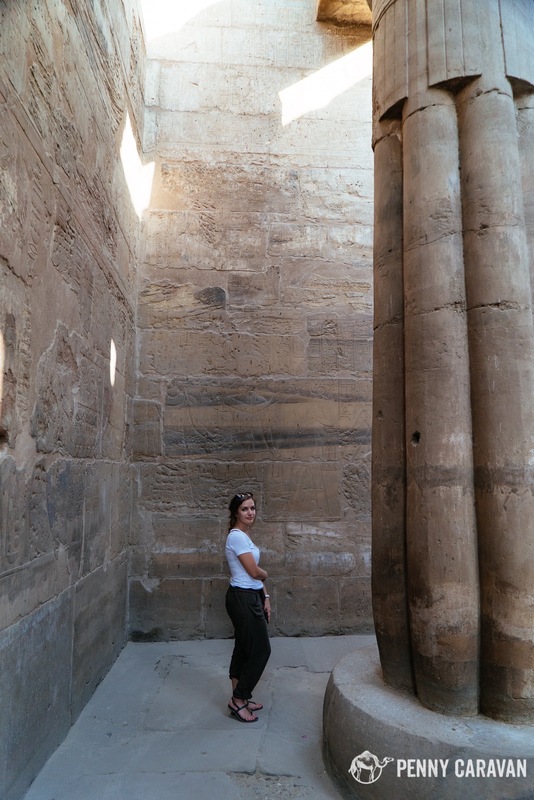 The movie adaptation scene of the Temple of Karnak made a huge impression on me, with the camera panning around the gargantuan pillars in the hypostyle hall to reveal each of the characters previously hidden from view. 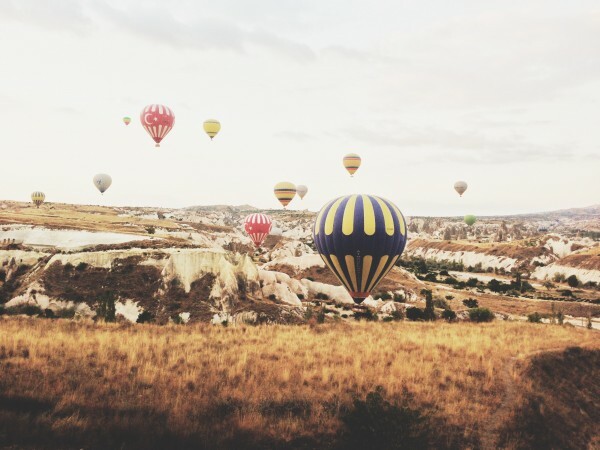 And that’s just how it was when we visited—though full of tourists, I felt completely alone until I rounded another pillar to find someone else marveling at the sight and holding on to their sunglasses atop their heads. 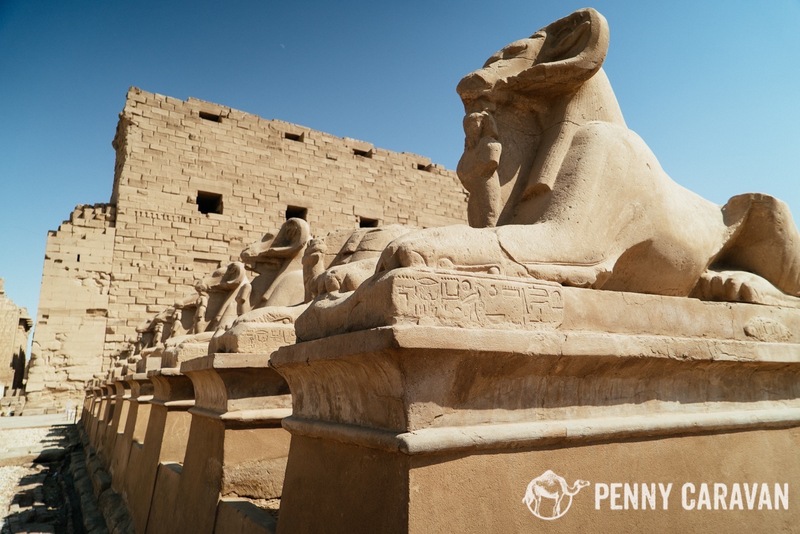 Karnak Temple covers 200 acres, making it the second largest ancient religious site in the world after Angkor Wat. 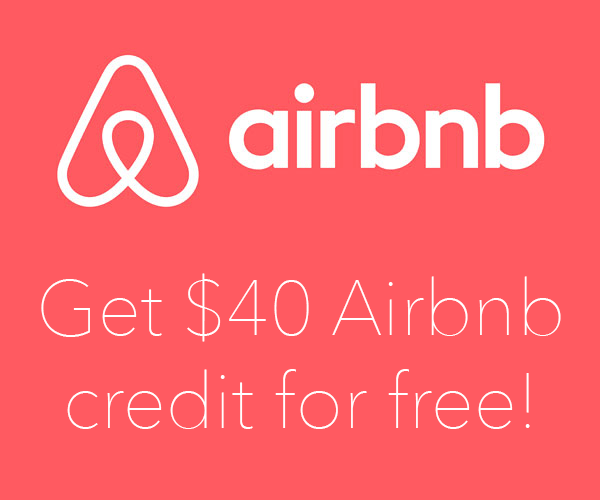 It was established circa 1971 BC and remained in use until 356AD—that’s 2,327 years. 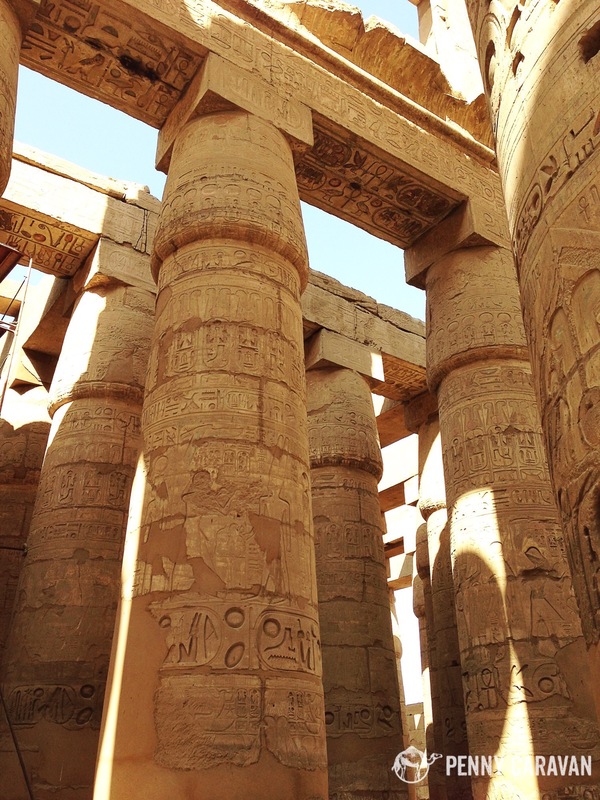 The hypostyle hall is still the largest room of any religious building, ever. 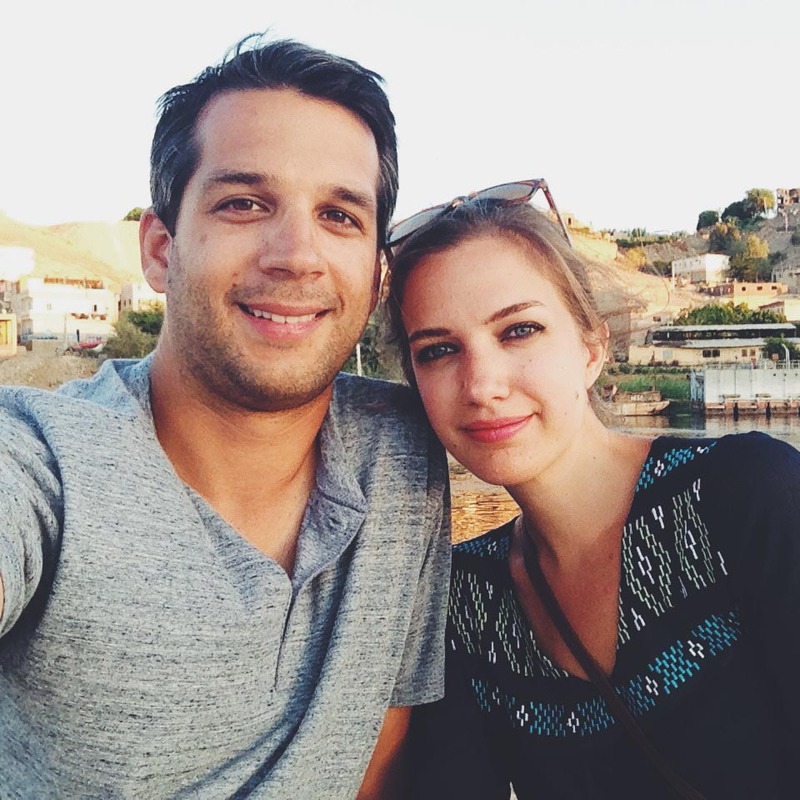 If you’ve seen the obelisks in Istanbul and Rome , this temple was their original home. 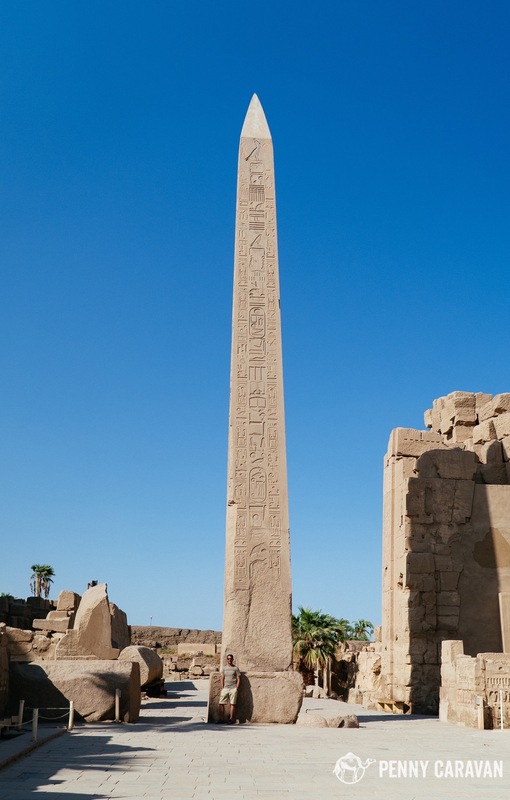 Tallest surviving ancient obelisk on earth. Some very bright paint remains visible under the capitals. 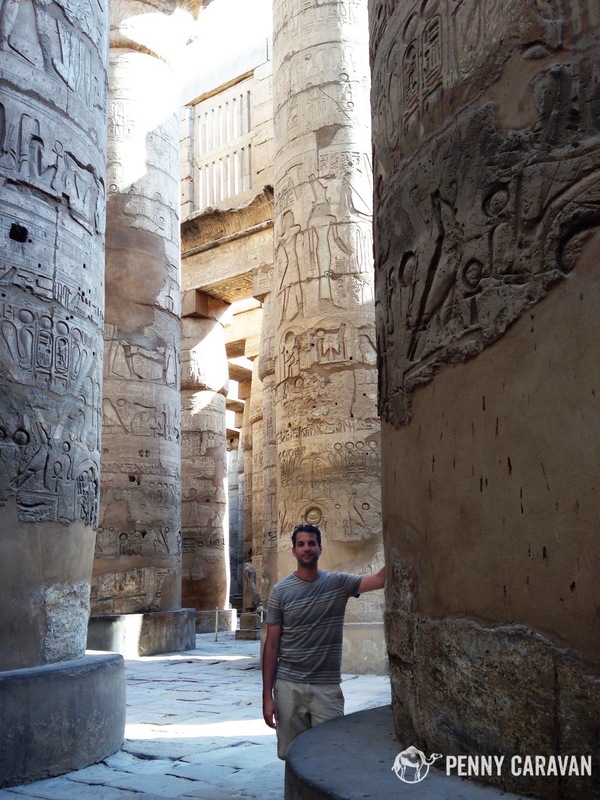 Shane in the hypostyle hall. 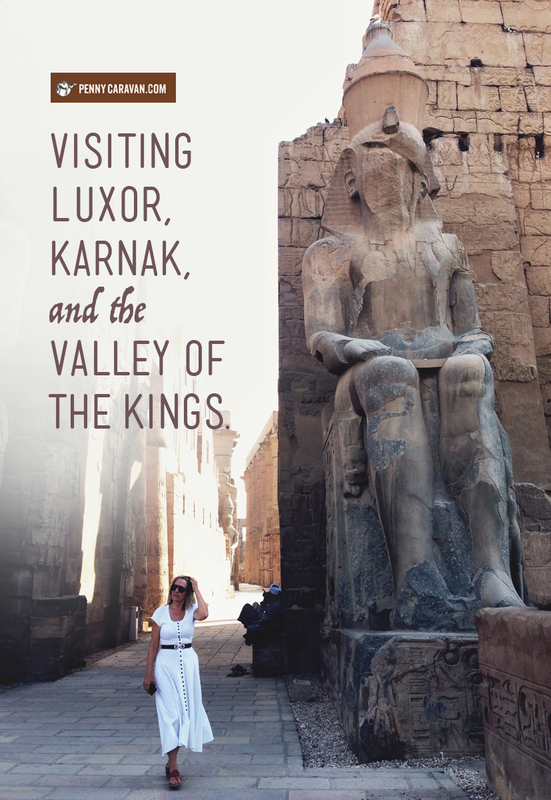 The temples of Karnak and Luxor were once connected by an avenue of Sphinxes. 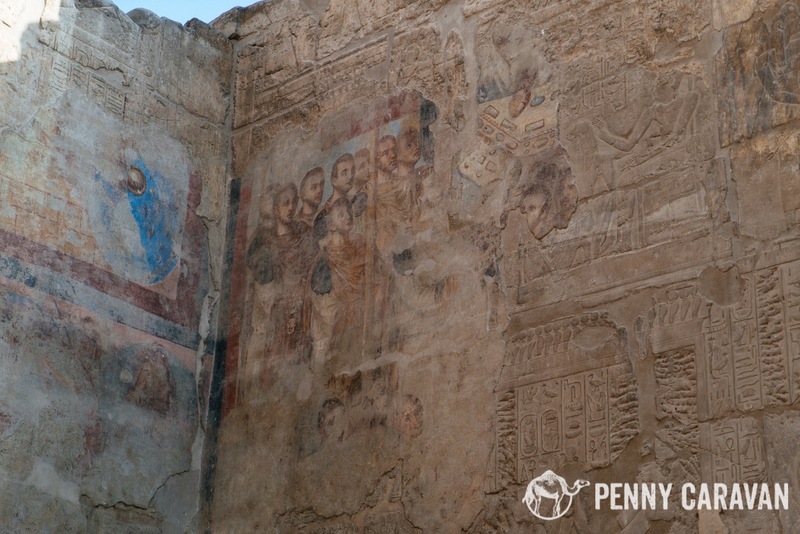 Parts of this temple were converted to a Christian church and the hieroglyphs were covered with frescoes. 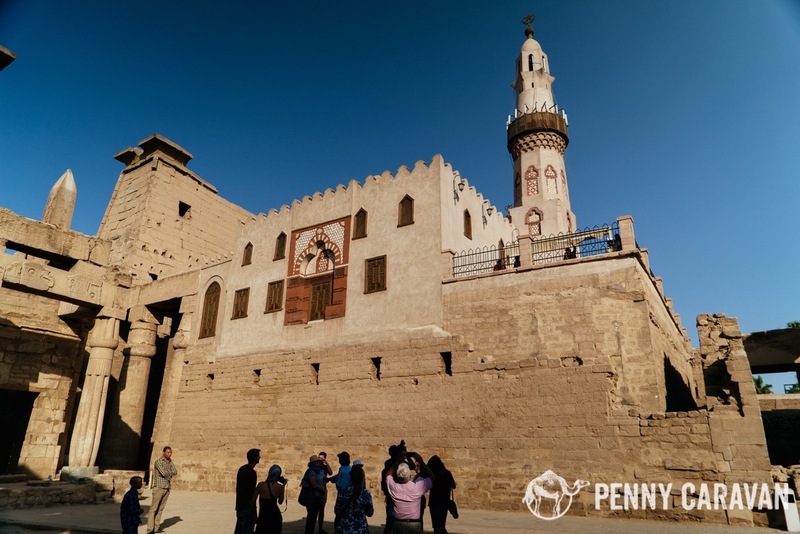 Then, the temple was buried under the city for many years, and the Sufi Shaykh Yusuf Abu al-Hajjaj Mosque was built above it. This makes it unique to have been a holy site for three different religions. 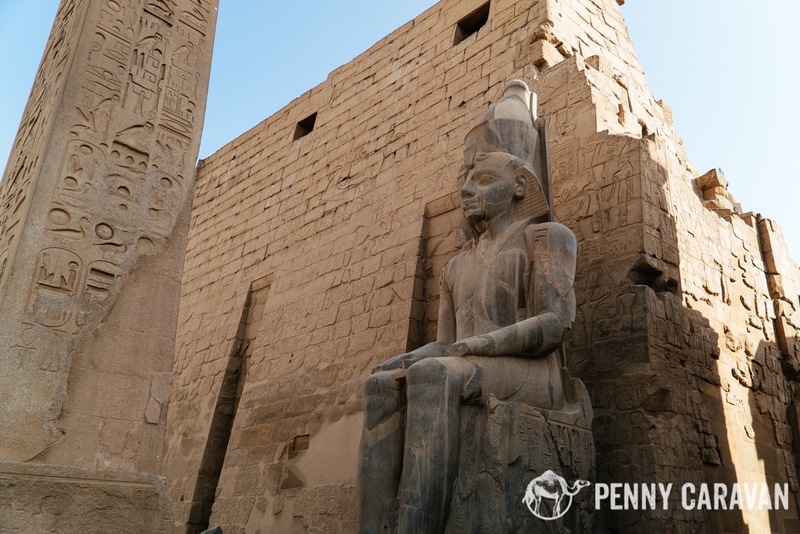 The pylon of Ramses II. The matching obelisk that used to stand on the right is now in Paris. The obelisks in London and New York also came from Luxor Temple. 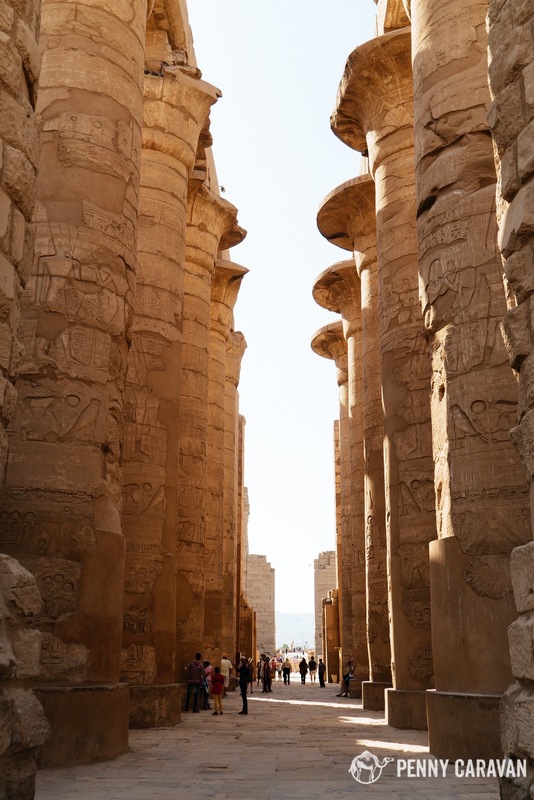 The colonnade of Amenhotep III. Unfortunately, photos aren’t allowed at the Valley of the Kings necropolis, but it was easily one of the highlights of the trip. There are 63 tombs that have been discovered so far, including the legendary chamber of King Tut. 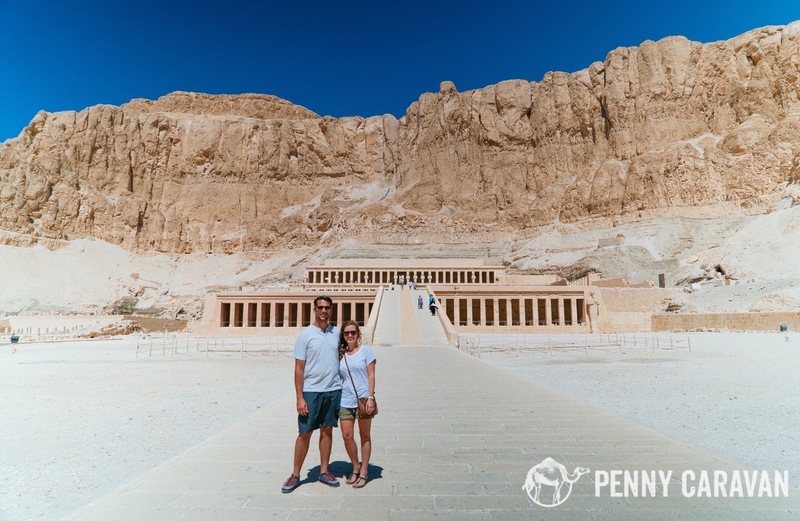 Unlike the pyramids which are highly visible, the burial chambers in the Valley of the Kings have hidden entrances to escape the reach of tomb robbers. 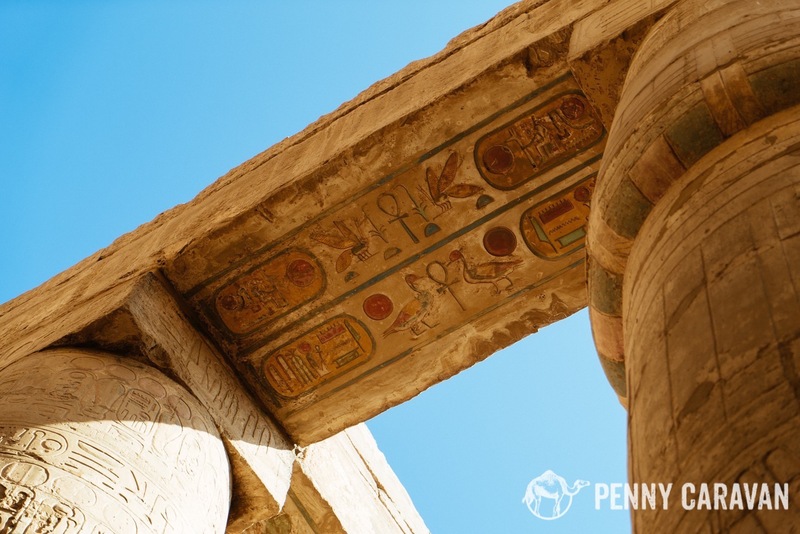 They are also highly decorated, with long passages that are covered in brightly painted hieroglyphs telling the stories of the lives of each inhabitant. The paint is incredibly bright and vivid, having been preserved for millennia in the carefully hidden chambers. Hatshepsut’s mortuary temple near the Valley of the Kings is also a stunning sight, situated beneath the cliffs of Deir el-Bahari and aligned to the winter solstice sunrise. 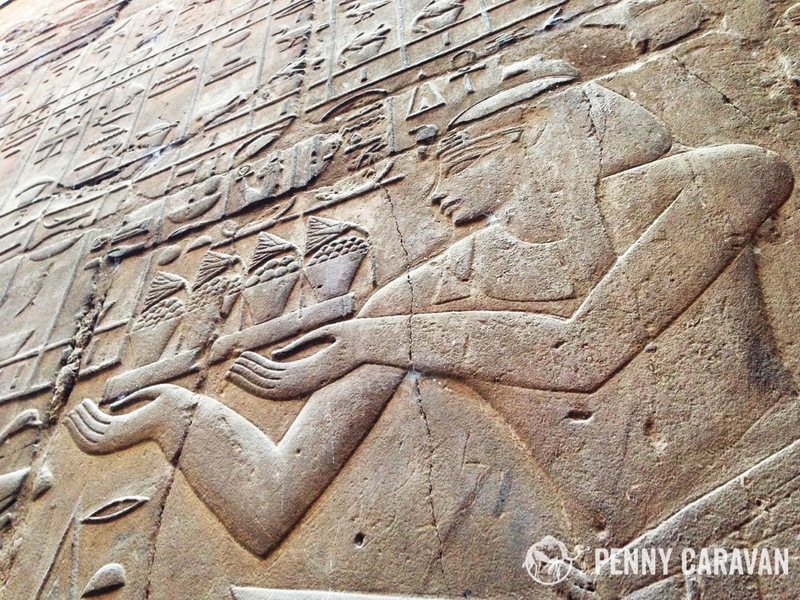 The reliefs show the great conquests of the female pharaoh, including the importation of frankincense and myrrh trees which once comprised the garden around the temple grounds. 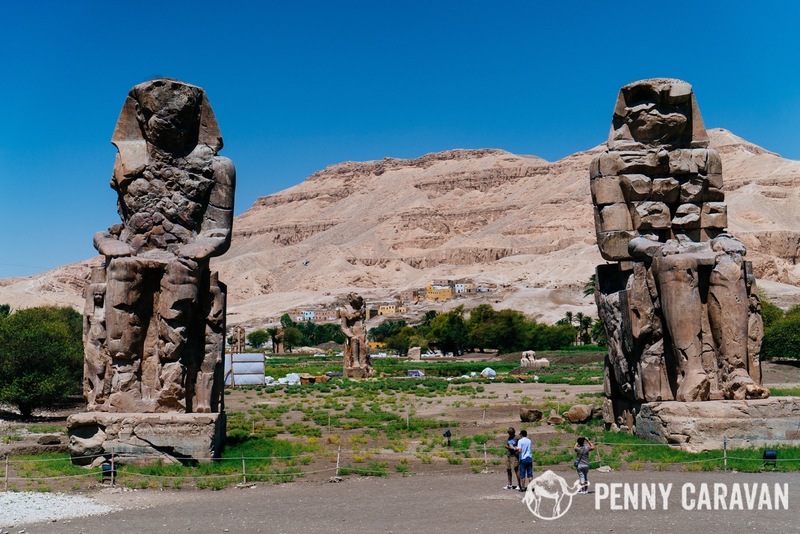 The colossi are all that remains of Amenhotep III’s mortuary temple. It was a short stop as there is not much to see, but be sure to listen closely because it is said that the statue on the left “sings” when the wind blows. 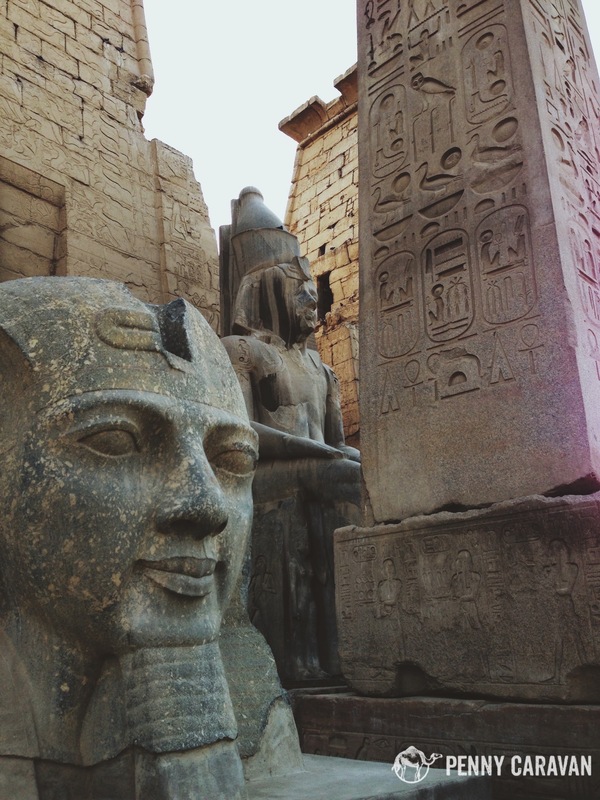 The first two days of our Nile cruise at Luxor were a fantastic experience and a great introduction to Egyptology. 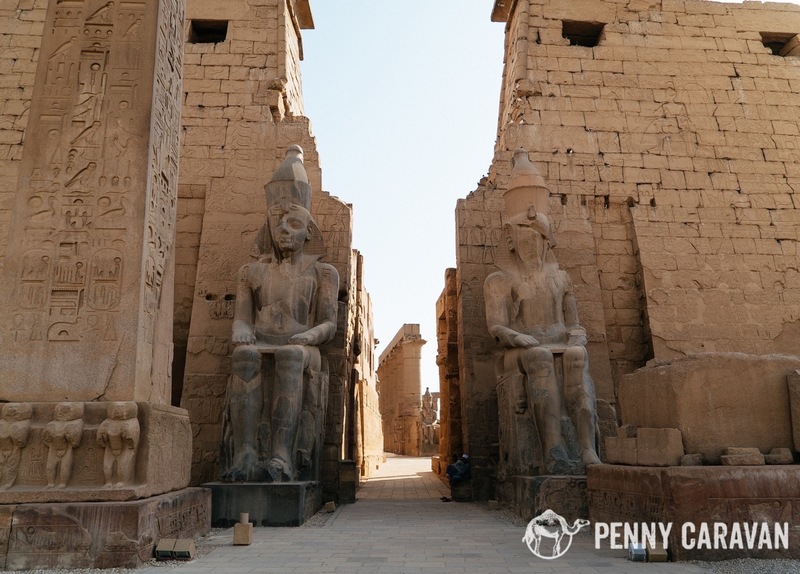 Be sure to read about the rest of the journey as we cruised through Esna Lock to Edfu, Kom Ombo, and finally to Aswan.